The Ohio Wesleyan women’s basketball team seemed destined to finally get back in the win column on Elea Karras’ buzzer-beating three-pointer to send it double-overtime. But, Carnegie Mellon’s Jenn Mayberger scored two quick baskets and added a pair of free throws early in the second OT to hand the Battling Bishops another close loss, 97-93 in the consolation game of OWU’s Bishop Classic/Hoops for Hope Saturday afternoon at Branch Rickey Arena in Delaware. 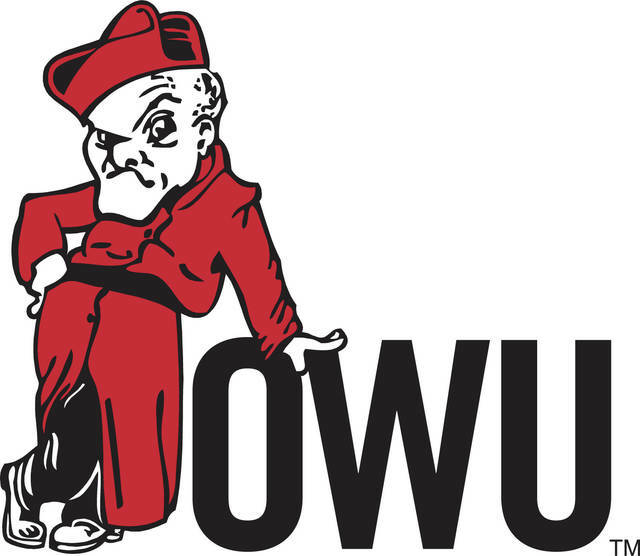 OWU’s close-loss count is now seven games by five points or less, including a pair of overtime setbacks in its own tournament. OWU overcame a 10-point deficit in the second half with a 10-0 run that bridged the third and fourth quarters. Neither team led by more than four points until Mayberger’s free throws gave the Tartans a 91-86 edge in the second overtime. Makayla Filiere gave the Tartans a two-point lead with a three-pointer with 0:34 left in the first overtime. She buried two free throws to extend the lead to three with 0:10 left after Tia Karras went 1-for-2 on the other end. Tia Karras’ tying attempt was blocked by Laura Ochsner with 6 seconds to go and Nicole Popovich’s put-back attempt ended up out of bounds. Popovich caught the ensuing in-bound pass and found Elea Karras, who just barely got the tying shot off to send it to the second extra frame. Ochsner also blocked a game-winning three-point attempt by Tia Karras with 0:02 left in regulation after Filiere’s three-pointer tied the game 71-71 with 0:26 left. OWU led by as many as nine points in the first half and led 34-31 at the break. Claire Sterling and Tia Karras each finished with a game-high 28 points to lead the Bishops (1-10). Tia Karras knocked down six three-pointers and Sterling added 10 rebounds to complete the double-double. Elea Karras added 16 points. “Claire’s strength coming into (the season) and what earned her playing time early last year was her hustle,” Ungashick Lobdell said. Filiere, one of five Tartans in double figures, finished with 24 points. Mayberger, Ochsner and Katherine Higgins each had double-doubles with 11 rebounds apiece. Mayberger had 18 points, while Ochsner and Higgins finished with 15 apiece. Victoria Avery had 19 points off the bench for the Tartans (9-3), who won the rebounding battle 59-42 and finished with a decided 50-26 advantage scoring points in the paint. OWU opens the new year Jan. 3 at 3 p.m. against NCAC-foe DePauw at Branch Rickey Arena before hosting Denison the following night at 6 p.m. to finish a stretch of four games in six days. Rain Hinton and Evelyn Wischmeyer sparked a 12-0 run in the third quarter to break a 37-37 tie and lead Albion to a victory over Muskingum. Wischmeyer finished with a game-high 23 points and Hinton added 15 off the bench to lead the Britons (9-3) to the Bishop Classic/Hoops for Hope title Saturday afternoon at Ohio Wesleyan’s Branch Rickey Arena in Delaware. Olivia Besancon led the Muskies (6-5) with 18 points. Wischmeyer was named Most Valuable Player of the tournament and Hinton, Besancon, Muskingum’s Alexandra Carson, OWU’s Claire Sterling and Carnegie Mellon’s Makayla Filiere rounded out the all-tournament team. Ohio Wesleyan led for the first 36 minutes and 36 seconds, but ran out of steam in a 92-90 loss to top-ranked Whitman at the D3hoops.com Classic at South Point Arena in Las Vegas. The Battling Bishops (9-2) made 12 of 21 three-pointers in the first half, but went cold in the second and finished 14 of 40. The three-point flurry helped OWU build a 14 point-lead early in the second half. But, Whitman used an 18-5 run to finally take the lead on a Joey Hewitt three-pointer with 3:24 left. Tim Howell’s short jumper gave the Blues the lead for good with 2:21 left. Nate Axelrod had a double-double by halftime and came a rebound short of triple double for the game. He finished with 24 points, 11 assists and nine rebounds to lead the Bishops. Nick Heidel buried six threes on his way to 22 points and Seth Clark chipped in 19 points and nine rebounds for OWU. Hewitt had 23 points and nine rebounds and Howell added 21 points and seven rebounds to lead the Blues (11-0). OWU finally returns home Wednesday against Denison in NCAC action. The Bishops have played just one game at Branch Rickey Arena this season. Tip is scheduled for 8 p.m.